Conor Oberst and Jenny Lewis Photos - Pomona, Calif.
Conor Oberst performed at the Fox Theater in Pomona, Calif. on Wednesday, Oct. 3rd with support from long-time associate Jenny Lewis. The performance saw Oberst ditch the intimate acoustic set that he had been performing across the country in favor of a full-band setup, which included guess appearances from Lewis, The Watson Twins, Bright Eyes’ Nate Walcott, and a “soft opening” of a Mystic Valley Band reunion. 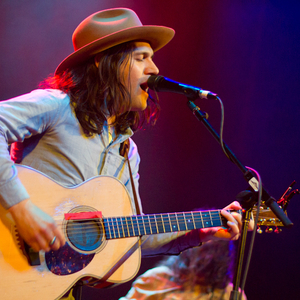 Check out Philip Cosores’ photos of the concert below.